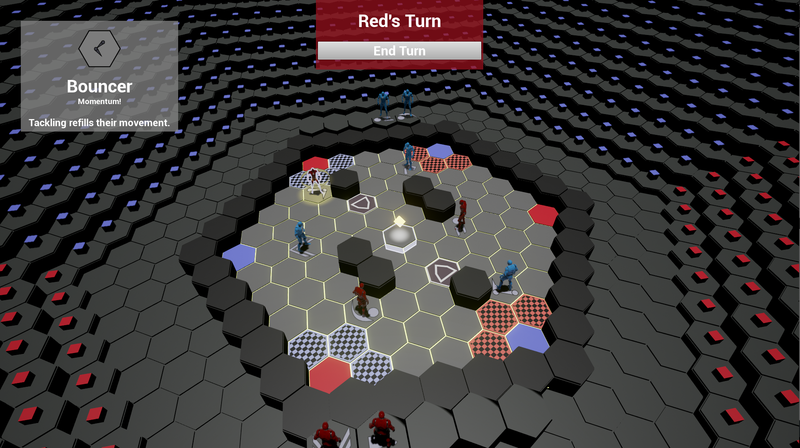 Showdown is a two-player futuristic arena sports game featuring 5 unique athletes. I developed showdown in Unreal Engine 4 as a solo project. With this project I gained experience taking a game through the complete development cycle, including pre-production, prototyping, development, testing, and polish. I paper prototyped the core gameplay by creating a physical board game. 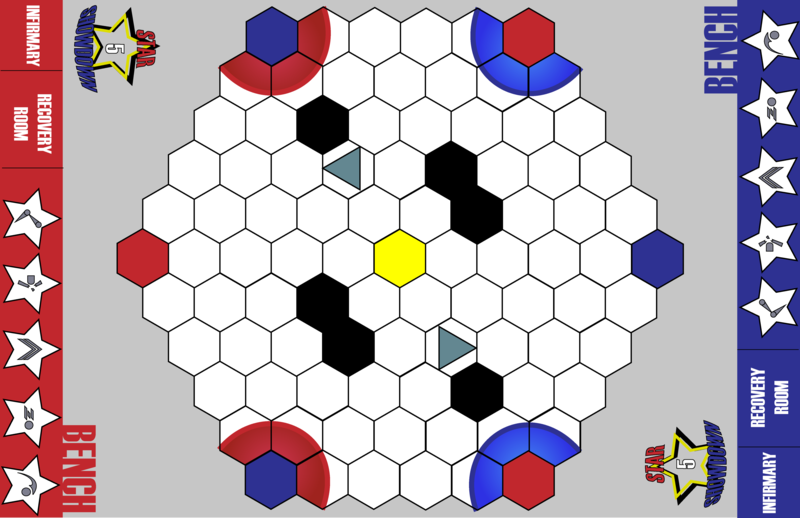 This allowed me to quickly iterate on the map and athletes which resulted in interesting tactical decisions in both early and late game stages of each match.